affiliate links – thanks for your support! 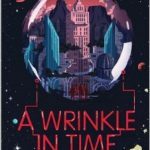 I have a confession to make – I am a bad book blogger. (Quiet at the back there!) No, seriously, in this particular case I have let you down. 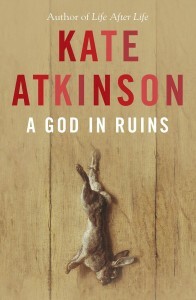 I have had A God in Ruins sitting here waiting for review, and I have a very peculiar problem with reviewing it. It’s just too good. I don’t want to finish it. I don’t want to devour it and have it gone, I want to savour it, enjoy it, cherish it. Roll the words and the ideas around in my head, make friends with the characters, carry them with me through my day. So, not a complete review, because I’m not completely done. 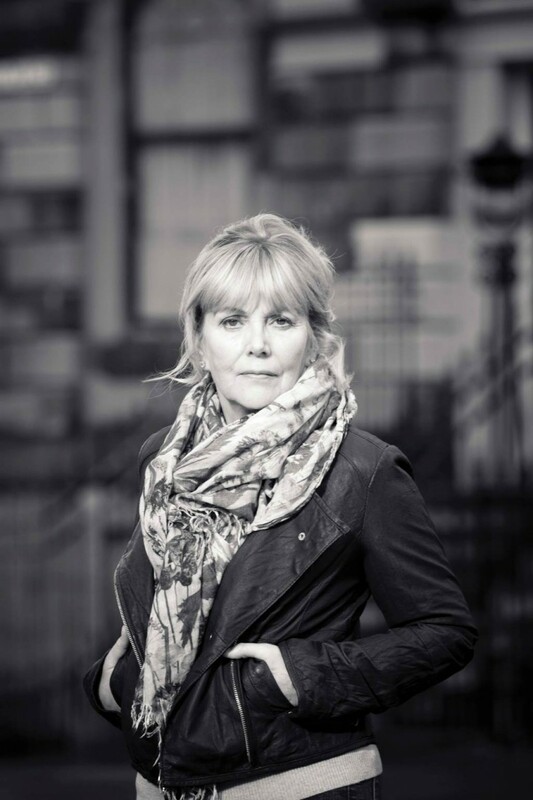 Instead, today, I give you more words from Kate Atkinson, in the form of an interview. Sadly, I didn’t get to sit down with her over a cuppa, (probably just as well, I think I’d have been rather tongue tied) it was via email, but I think you’ll agree that I got value for money with my answers. 1) Both Life after Life and A God in Ruins deal with brutal topics in a clear and undramatic way – I would say that the calmness allows the reader to consider the events without the author’s emotions getting in the way if that makes any sense – was that ever difficult to maintain? And if so, what were the most difficult topics to write? Oh, that’s a complicated question. Well a writer is outside of their narrative, you have to be objective in order to write, because writing is such a structured activity, it’s not just an out-pouring of emotions. So by the time you’ve considered how you’re going to write those scenes, you have already got a certain authorial distance, and then the important thing is to be able to recreate those moments – flying over enemy territory, the terror of crash-landing or ditching and so one and render them in such a way that they retain their power and their truth. In a way, you’re analysing something, and taking it apart, and then you’re putting the ‘feeling’ back in. There are s a lot of harrowing scenes in this book and in Life After Lifebut I don’t really get distressed by them because I I’ve been through all of that before I start writing. The only scene I cannot revisit – in fact I never do revisit – the only scene which made me cry is in Behind the Scenes at the Museum when the pet dogs are killed in the First World War … It’s just so horrible the idea that you’d send your pet dog to the Front. What were these people thinking? Puppies going to do their bit… Death of any dog, of animal, they’re the ones I find difficult. The death of Ginger in Black Beauty scarred me for life. People are easier to kill in novels. 2) Given that Life after Life loops through the same time periods repeatedly with changing details, how did you keep track of which timeline Teddy is travelling in A God in Ruins? He’s not on any of Ursula’s timelines, he’s on his own, so that wasn’t a problem. My greatest difficulty was deciding in which order the chapters go so that they add up to make the best portrait of Teddy. I spent more time rearranging those chapters than I did anything else. It was never going to be a linear narrative, I wanted time to feel fluid. Our lives may be linear, or appear to be, but really we’re the sum total of everything that’s gone before – all the times in our lives, as it were. 3) In your interview on BBC News (Telling the lost stories of the second world war), you refer to needing to be ‘almost in solitary’ to keep focus on writing. How do you achieve that – what’s your ideal writing space? Well, you just shut the door. You just do. I’m very self-disciplined. I probably prefer to be on my own anyway, so that’s not a problem. It’d be very difficult to be an extremely sociable person and still write. My ideal writing space is… ooh… a small room with a lot of light. In a tower, perhaps. 4) You’ve focused extensively on World War II, is there any other time period that attracts you at all, and if so, what is it? Hmm, I have no questions I’d wish to be asked but that’s not a very good answer, is it?! My fondest memory of a question was at a literary festival when a woman stood up and said, ‘Where did you get those shoes?’ I had just bought them in Italy and they were particularly good shoes. Have you read Life after Life? Will you be reading A God in Ruins? 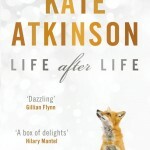 Favourite Kate Atkinson book? Tell me all in the usual place. I don’t know how I’d start to pick my favourite KA novel – could I put Life After Life and A God In Ruins together as one book, maybe? then I’d pick that! What an interesting interview. I’ve not read her books before but will definitely now. A book that you don’t want to read so it never ends is an amazing thing. Thanks Heather. I would advise starting with life after life, although I think they’ll work either way tbh. Life After Life is the best book I read last year and I can’t wait to read A God in Ruins. I’ve also read (and loved) Case Histories and Behind the Scenes at the Museum. Kate Atkinson has fast become one of my favourite authors (along with Katherine Webb and Tracy Chevalier). Love your description of why you don’t want to finish the book! I feel exactly the same way but you put it into words far better than me! Thanks Ross. I finally finished it last night, and I’ve got a definite book hangover today! It is a tough book to get into I think, and there are definitely some very difficult themes. This one feels a little more removed from me somehow, trying to work out why now. Hmm. I finished A God In Ruins yesterday. 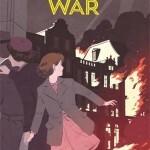 A wonderful book and masterful storytelling though the ending almost devastated me. Looking back though the clues were there in places in the narrative. I’ve got a pile of books waiting to be read but I will have to let this one “fade” a little before I start reading any of them – I’m still caught up in Teddys story! I love Kate Atkinson’s Books. I cut my teeth on “Behind the Scenes at the Museum” which I’ve read several times, and every word she has written since. The last two books have been outstanding, she goes from strength to strength. I can’t wait for her next novel and in the meantime will reread Life after Life and God in Ruins again.